Monday Night Raw’s Finn Balor has officially switched brands … and he’s bringing the Intercontinental Championship with him. Finn’s addition to the blue brand was confirmed Tuesday night on the special Superstar Shake-Up episode of SmackDown Live. 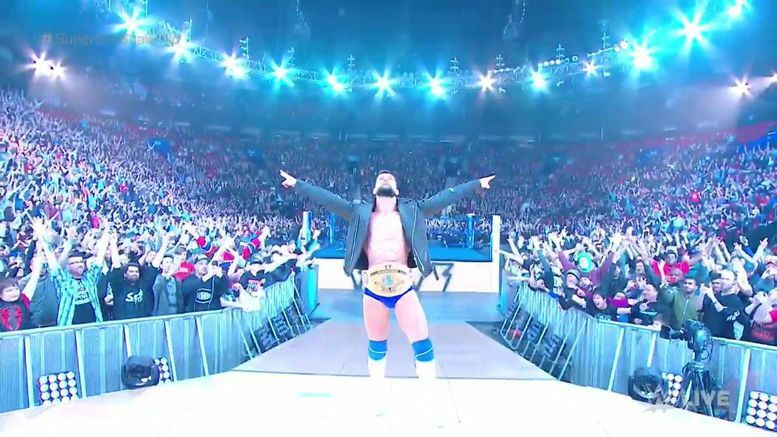 The Irishman kicked off his SmackDown tenure defeating Ali in a non-title match. As you’ll recall … Finn was defeated on Raw this week by Andrade, who was making his Monday Night Raw debut alongside manager Zelina Vega. Check out a snippet of Finn and Ali’s match below.